Ultimate tippet line - DOHIKU EXCELLENT. 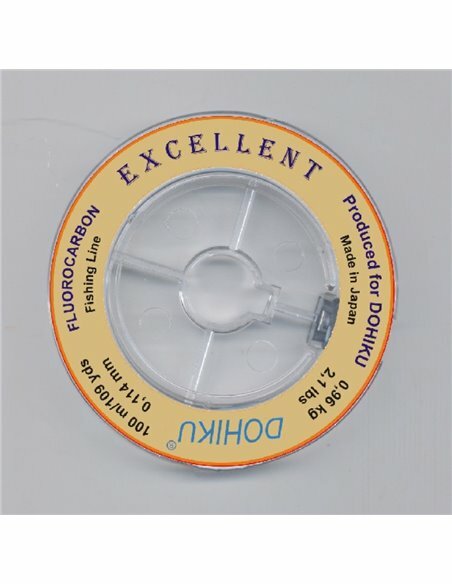 This fluorocarbon ultimate line was produced on special demand for DOHIKU company in Japan . We recommend DOHIKU EXCELLENT line for "caution fish" for example : on "the mirror " of level wather . DOHIKU EXCELLENT is strong and abrasion resistance and gives your leader a longer life. Ultimate tippet line - DOHIKU EXCELLENT. 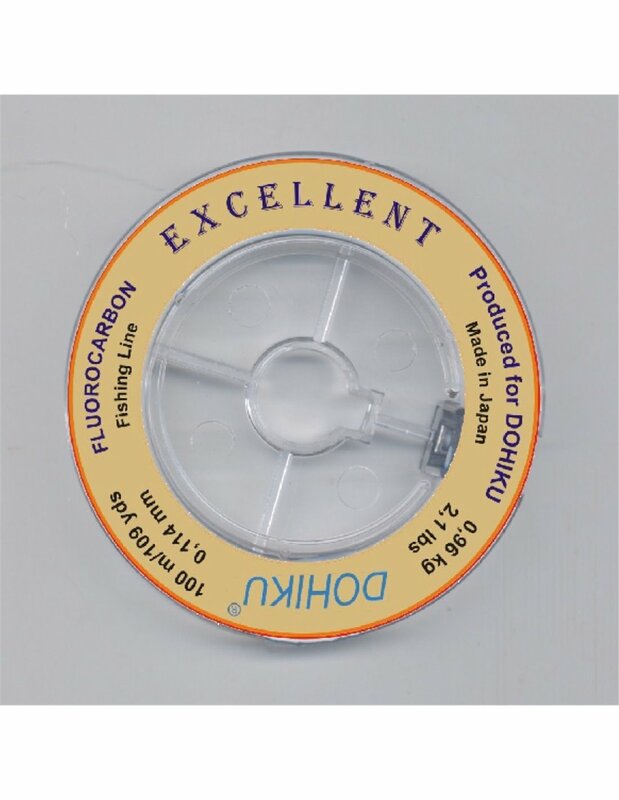 This fluorocarbon ultimate line was produced on special demand for DOHIKU company in Japan . We recommend DOHIKU EXCELLENT line for "caution fish" for example : on "the mirror " of level wather . 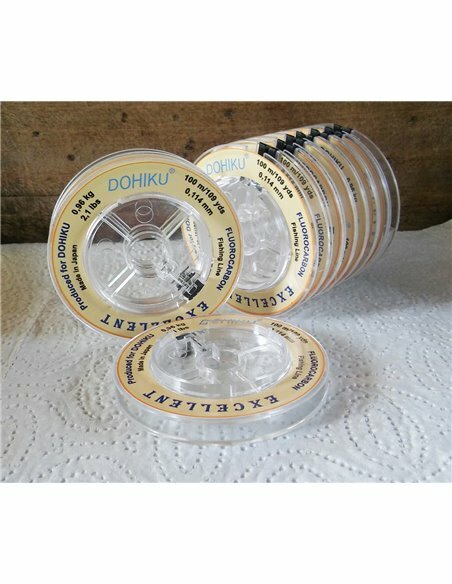 DOHIKU EXCELLENT is strong and abrasion resistance and gives your leader a longer life. 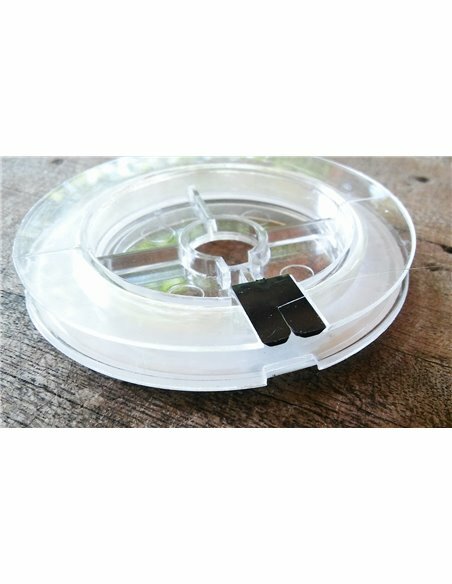 DOHIKU EXCELLENT turns almost invisible in water and will certainly help you put more fish on the bank. Must use appropriate AFTMA of rods .